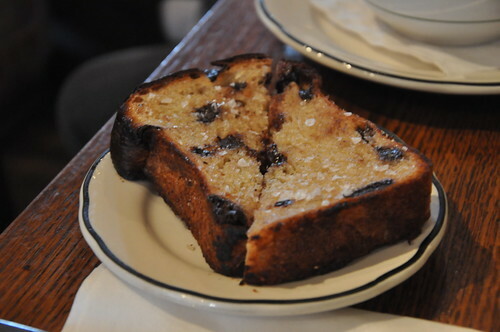 The brioche was light and buttery with just the right amount of dark chocolate and crunchy sea salt. Perfect for sharing (or not sharing), this makes for a great pre-brunch appetizer to take the edge off. I used to think that putting salt on something so tasty was wrong, but now I love it! Really glad you guys featured the Chocolate Brioche with Sea Salt and Butter. I really like this place for brunch and especially love this dish to start.